The Stage at the Bellevue Hotel is a funky and historic events and entertainment venue in the heart of Downtown Mission, BC. A total of 5500 sq. 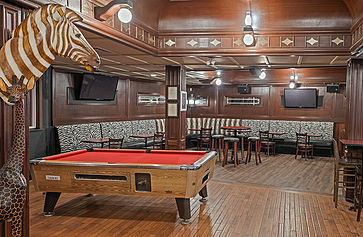 ft, The Stage can accommodate up to 215 guests and is an extremely unique location, perfect for a night out with friends or hosting your next event. 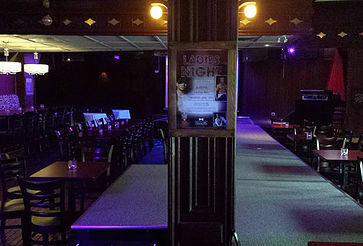 The Stage is home to The DRAG Show starring Mz Adrien with Female Impersonators and Adult Comedy. The DRAG Show is a fun, hilarious monthly event and is known to sell out! Live Music, Burlesque, Male Exotic Dancers, Murder Mystery Events and much more are all coming to The Stage SOON! Follow us on Facebook and visit our page regularly to view our featured events. If you have a unique event or entertainment idea, email us and we will see if it will work at The Stage. With a variety of unique events and entertainment, The Stage attracts a diverse crowd from all over the Fraser Valley and Lower Mainland. The Stage is an inclusive venue where everyone comes to play – everyone that is friendly that is. 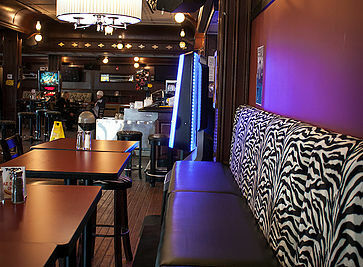 The Stage is also perfect for Private Parties, Corporate Events, Fundraisers, and more! e have hosted Weddings, Reunions, Burger and Beer Nights, Engagement Parties, Corporate Christmas Parties, CD Release Parties, Theme Nights, Dance Parties – why not book YOUR next event at The Stage? Catering services are also available. Connect with us for details.